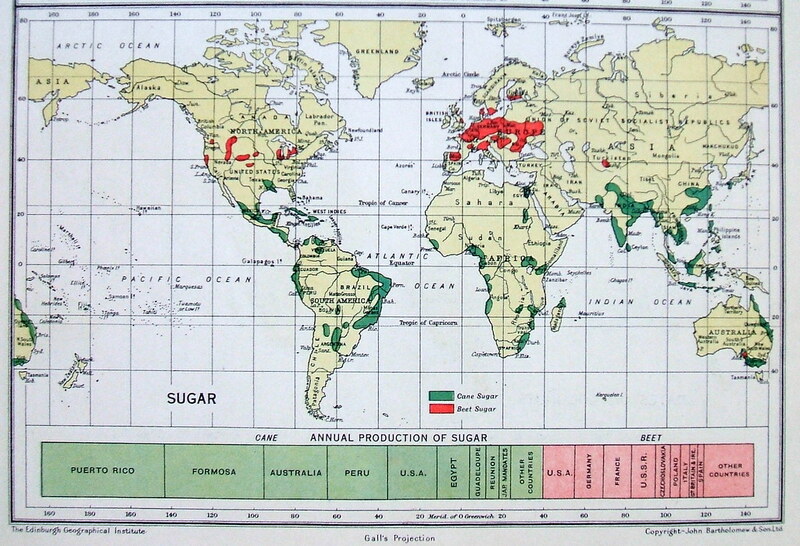 Of course, Wine and Tobacco aren't the only two foods that can be mapped. 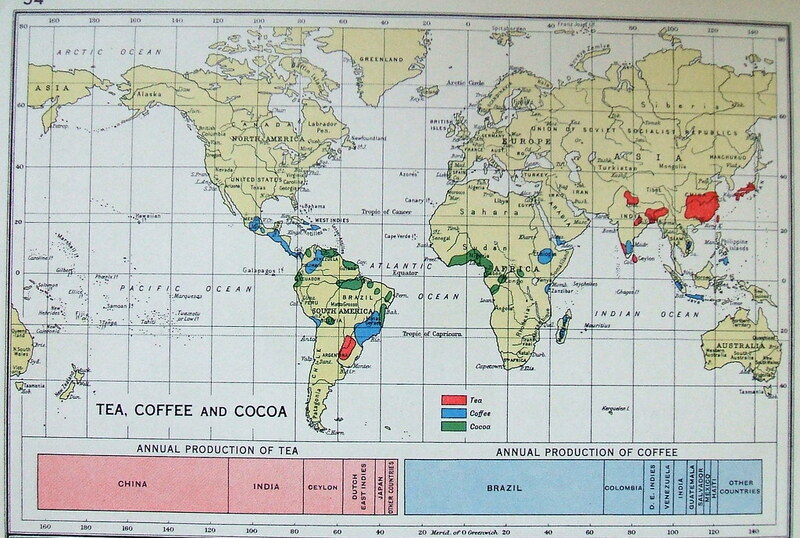 There's also tea, coffee, beet sugar, can sugar, coconuts, dates, apples and bananas. 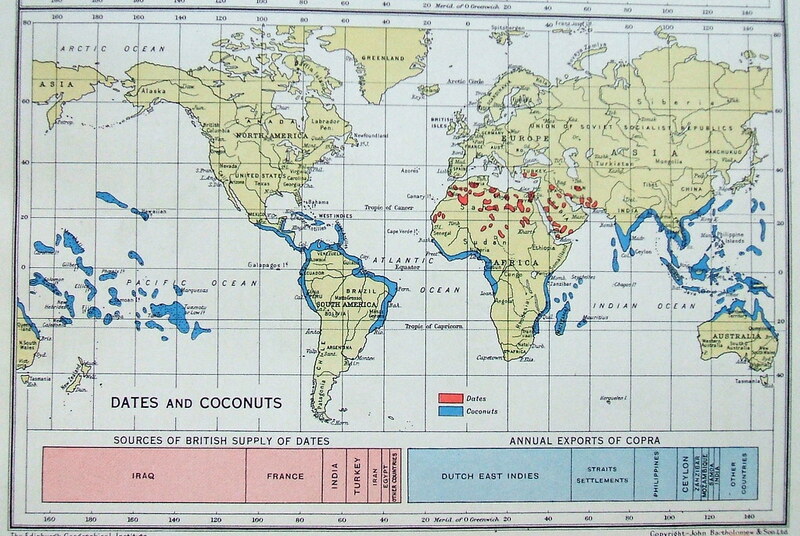 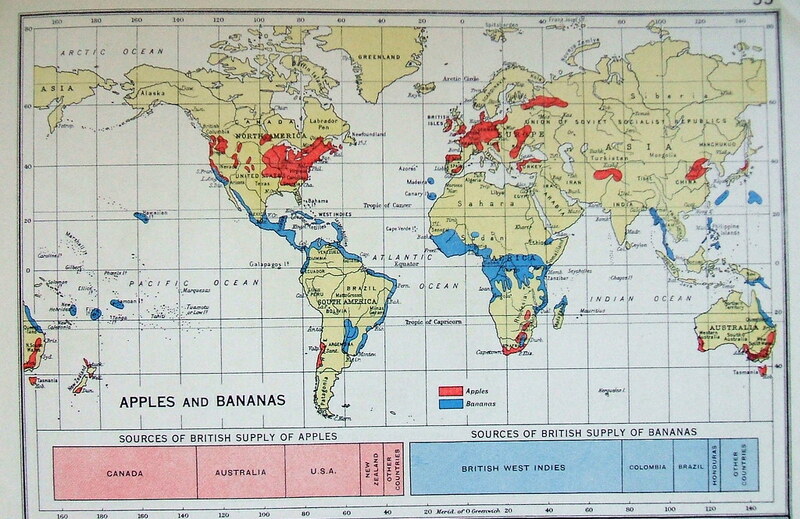 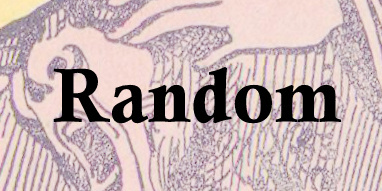 These are all from the 1937 Oxford Economic Atlas, British imperial cartography at its finest.